Rosenstein was headed towards the White House Monday morning expecting to be fired. Deputy attorney general Rod Rosenstein is said to have 'verbally resigned,' according to the Associated Press and various other conflicting reports. But Axios reported that Rosenstein resigns his post, citing unnamed sources. 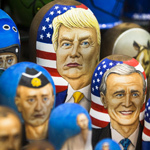 The deputy attorney general was overseeing the Russia/election alleged interference and links between Donald Trump and Moscow. 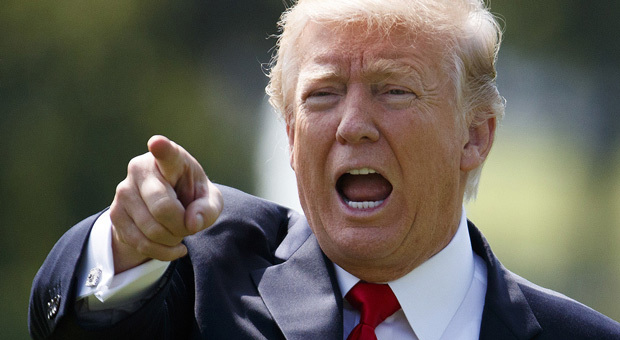 The Guadian reports: The New York Times reported last week that Rosenstein had discussed secretly recording the president and invoking the 25th amendment to remove Trump from office. Rosenstein said the report was “inaccurate”. A spokesperson for the Department of Justice declined to comment on the reports of Rosenstein leaving his post. Rosenstein’s prospective departure throws into question the oversight of special counsel Robert Mueller’s investigation. Under the Department of Justice succession statute, solicitor general Noel Francisco would be left in charge of supervising the Mueller investigation, University of Texas law school professor Steve Vladeck has written. But Trump also might be able to appoint a temporary replacement for Rosenstein on an “acting” basis for up to 210 days, Vladeck writes – that person would need to have previously passed Senate confirmation for another post or be a senior official from a relevant department. As anticipation of Rosenstein’s departure grew, Democrats in Congress and former federal prosecutors called on Republicans to speak out in favor of protecting the Mueller investigation. Rosenstein was overseeing Mueller’s work after the attorney general, Jeff Sessions, recused himself due to his contacts with Russian officials when he was part of the Trump campaign. Trump has repeatedly attacked Sessions for that move. In overseeing the special counsel, Rosenstein was responsible for approving major new directions in the investigation, for signing off on the budget and for meeting regularly with Mueller to assess the investigation’s progress. 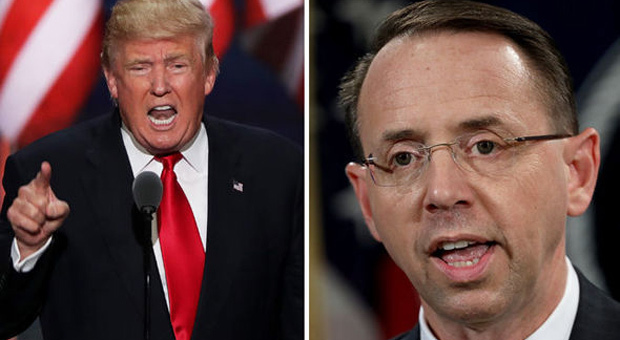 Trump’s relationship with Rosenstein has been vexed. The president has tweeted that Rosenstein is “weak,” but in August Trump also said the relationship was “fantastic”. 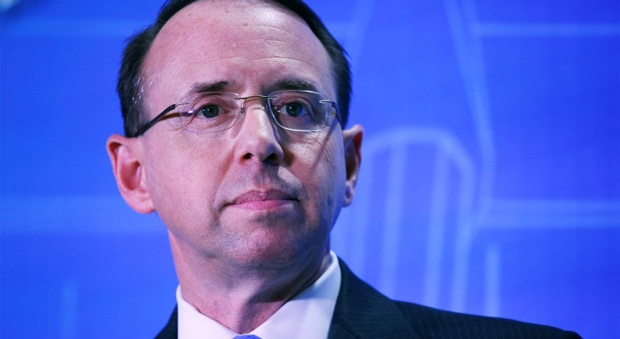 Frustration moved in both directions, with Rosenstein reportedly growing “angry” at Trump in May 2017, after Trump used a memo written by Rosenstein to justify the firing of former FBI director James Comey. It was in the sensitive aftermath of that firing that Rosenstein suggested recording the president, the New York Times reported. One source told the Times that Rosenstein had suggested recording the president “sarcastically,” while others said he was serious. In a statement Monday, amid speculation that McCabe desired to undercut Rosenstein – his onetime superior at the justice department who played a direct role in the firing of McCabe’s former boss Comey – McCabe denied any hand in leaking the contents of his memos to the media. At a briefing to talk about this week’s UN general assembly, the administration’s foreign policy officials were peppered with questions from journalists about Rosenstein and the 25th amendment. “Literally I have never been in the White House when that conversation has happened,” the US envoy to the UN, Nikki Haley said.